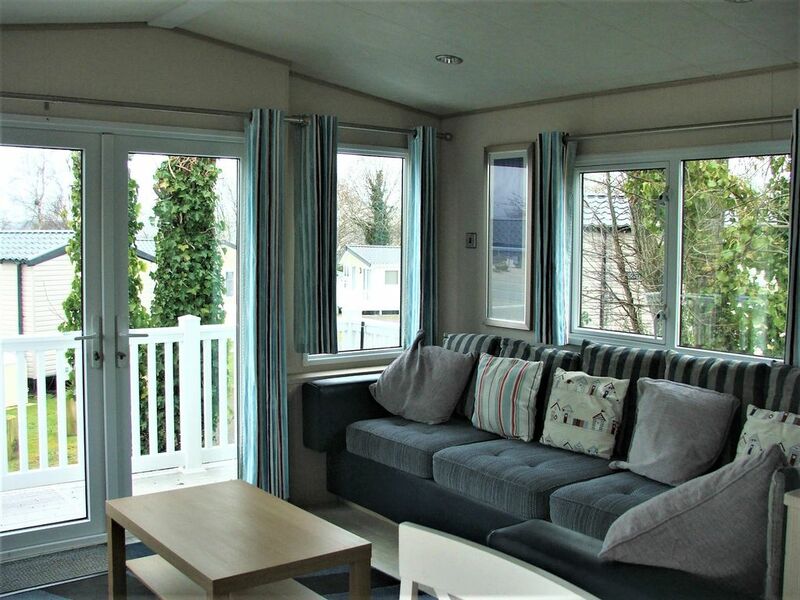 Exquisite, modern 3 bedroom Abi Beachcomber with a small veranda, Tastefully decorated to a high standard. It is double glazed and central heated. Parking for one car. Lounge/dining area: The lounge has free standing furniture, comprising of 4 seater sofa and flat pad seat, coffee table, an attractive electric fire, 32" flat screen TV with DVD player. Dining table with four chairs. Patio doors lead out to a large sun deck and veranda which is equipped with table and chairs. Kitchen: A spacious fully equipped kitchen with full size cooker, microwave, toaster, large fridge/freezer, crockery, cutlery, glasses, kitchen utensils, plenty of cupboard space. Twin Bedrooms: These rooms have twin beds with fitted mattress protectors, wardrobe and cupboard space. Shower room: This room has a walk in shower, toilet and vanity basin, above there is a light and shaver socket. Ironing board and iron supplied as is a mop, bucket and a hoover. All of our caravans are dog friendly. There will be no extra charge for your dog, providing no damage is done and no extra cleaning is required. Please let us know when booking if you would like to bring your dog as conditions apply. Duvets and pillows are provided. However you will need to bring bed linen, towels and tea towels. FunWorks passes which give access to Haven activities and facilities are not included in our prices which are for the caravan hire only. Please note Rockley Parks facilities are open from Easter to end of October.